20" Freestyle front wheel designed for BMX bikes. what is the inner rim wide for this rim? Hello! Would you mind stating what is the width of the hub? Is it 100 or 74 mm? Thanks for your answer! This hub has an OLN of 100mm. 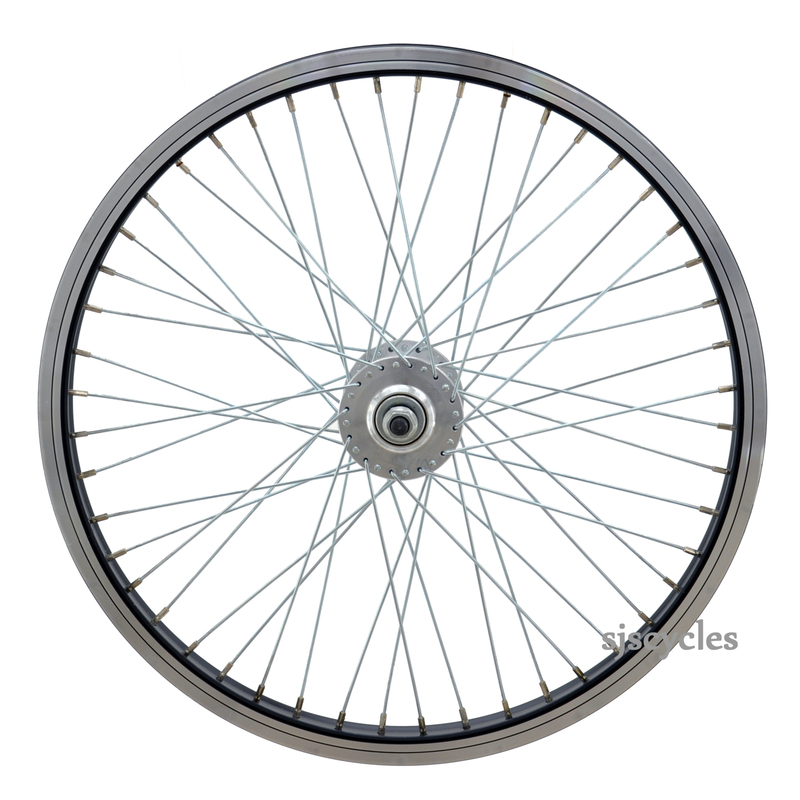 can you tell me what size axle is used in this wheel and if the rim is single or dual wall? The axle is a 3/8 x 26 axle which is close to 9.5mm. It is a single wall rim.